It's Saturday night and I haven't had a schedule, plan, or appointment for the entire weekend! Between working, babysitting, and being on 2 volunteer boards, I never ever have a weekend to myself. Last night we went out for pizza and to a movie with our friends. This morning was spent at the Farmer's Market and the day was spent at my favorite beach! Now Bryce is relaxing napping on the couch and I'm enjoying watching repeat episodes of Supernanny and blogging far too much for my own good. Keeping myself so busy makes moments, days, and weekends like this even more enjoyable when they do come around. As great as this weekend has been, the all-time high of the past month was our shopping spree to Ala Moana Center a few weeks ago. After my bridal shower and our engagement party, Bryce and I were gift card wealthy! After cashing in on an iPad at Best Buy and stocking up on household items at Macy's, but before testing every set of curtains from Target, we ventured to my happy place: Williams Sonoma. 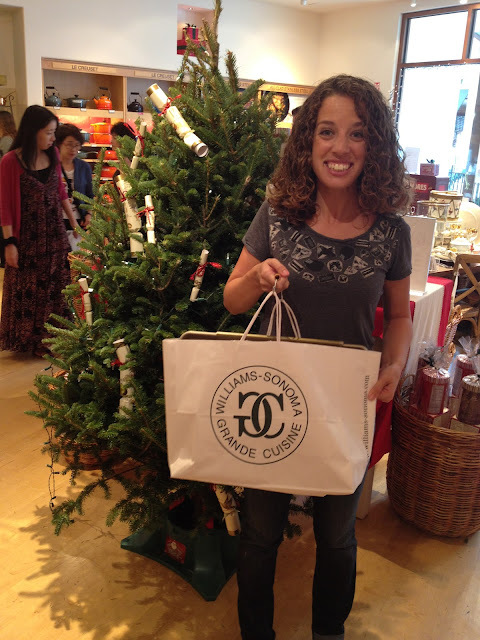 After weighing options and exploring the store we brought home a few new prized possessions! 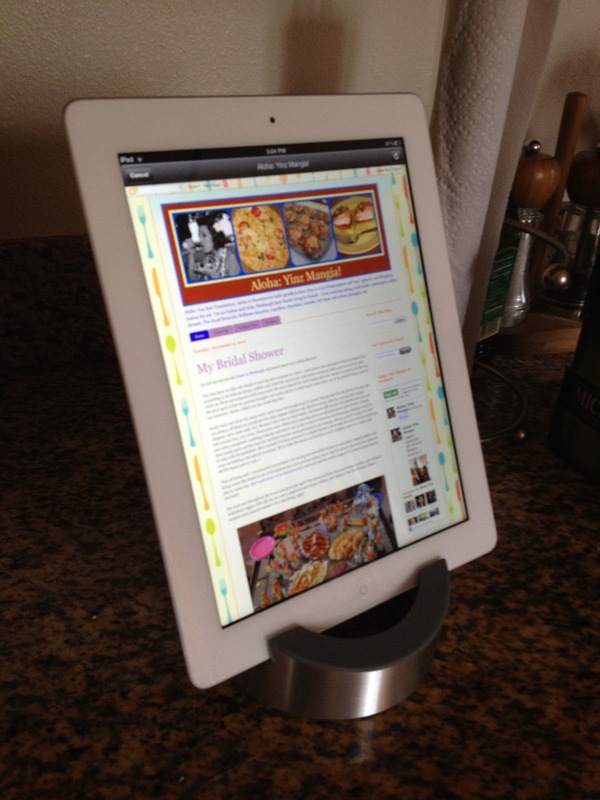 First, Williams Sonoma's kitchen stand for iPad. Clearly Aloha: Yinz Mangia was my first website visit from the kitchen! A large and very sharp knife is now ours - scary! It's the 8" Wusthof Grand Prix II Chef's Knife. The website has a red one!!! Clearly I would have that one, had I been given the chance. We also got some brand new "Goldtouch" cookie sheets and Silpats, which were needed about 8 months ago! Let the recipe reading, chopping, and baking begin! The best part is that we still have some WS gift card credit remaining... ohhhhhhh what to get next?!? !